Not many people enjoy maintaining their floors. I know we do not, especially since our household has become so busy. In fact, we feel that way about most household chores. That is why I am always seeking out solutions to make our chores less difficult to complete and to help them be completed in less time. The O-Cedar ProMist does this for us. For my readers who are trying to make their household more "green", this mop allows you the choice of using a diluted floor cleaner of your choice or to clean with straight water. Home cleaning and organization expert Peter Walsh suggests making a safe cleaning solution by combining water with white vinegar or lemon juice. 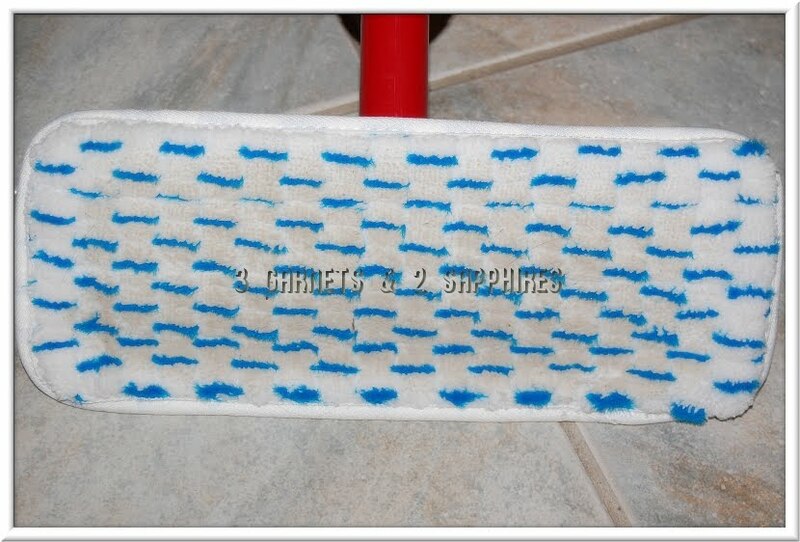 Another way this mop is better for the environment is that the scrubber is a machine washable microfiber pad. The pad just attaches itself to the Velcro on the unit. 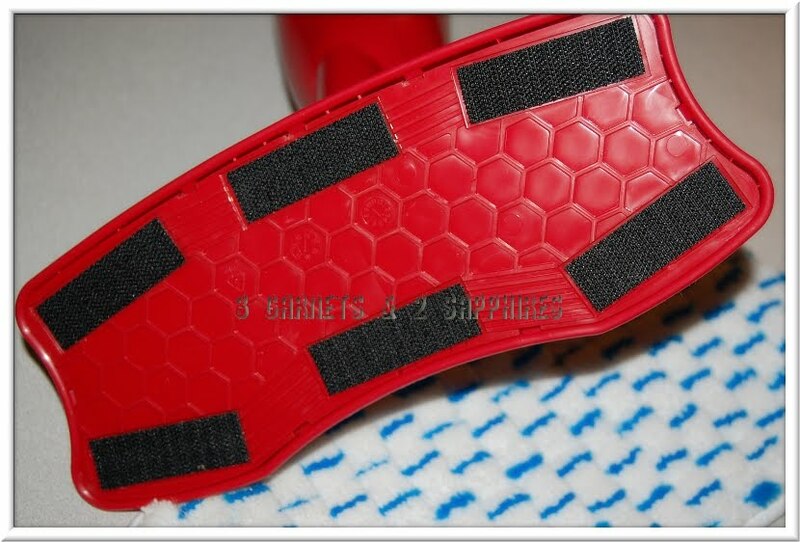 This pad can be used and washed up to 100 times. 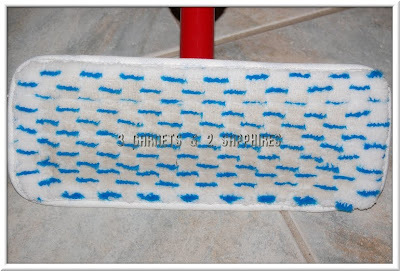 If you mop once a week, then one pad could last up to nearly two years. This mop is very lightweight, even when the bottle is full of water or cleaning solution. It is very sleek and does not take up much room to store. 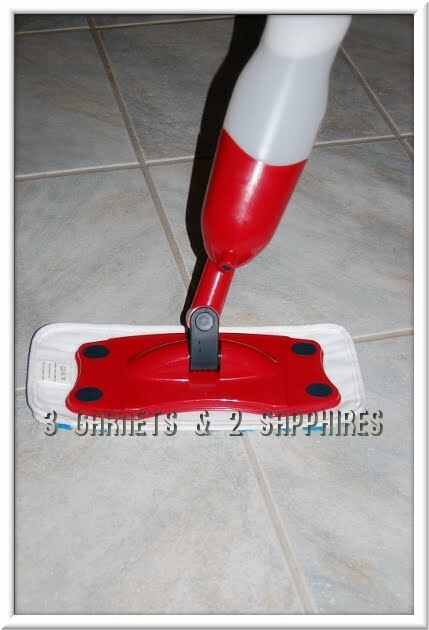 The fact that this mop does not require a bucket makes it an even better space-saver. 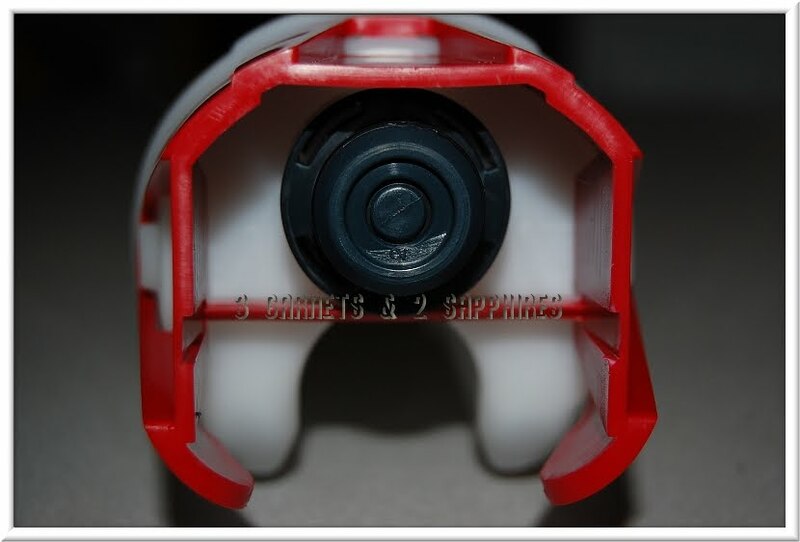 The refillable bottle is graduated so it is easy to make your cleaning solutions without having to worry about measuring your components. 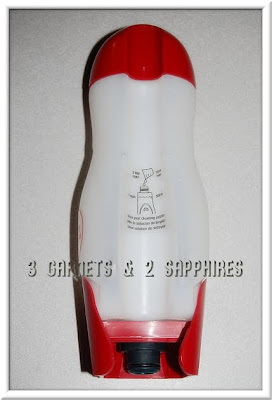 There are even instructions printed right on the bottle for your convenience. Once the bottle is snapped back into place, you need only to squeeze the lever on the handle to produce a spray out the front of the mop. 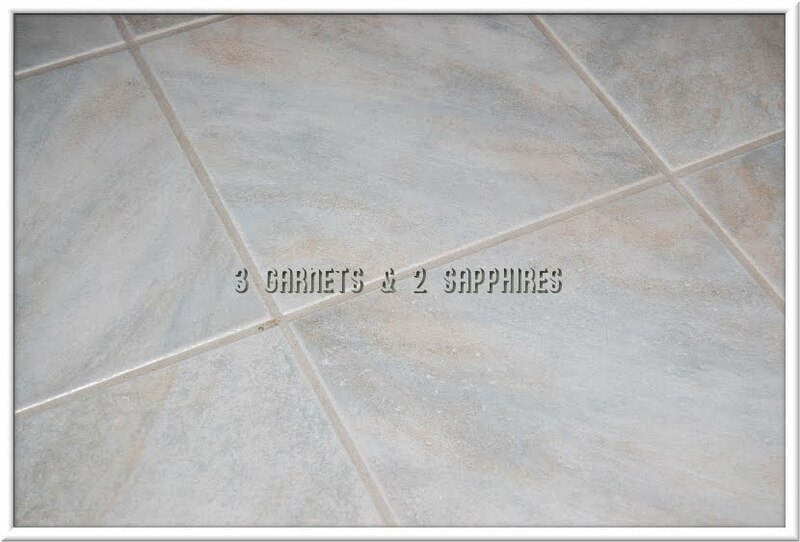 We tested this mop out on our stone tile floors, which are bumpy, uneven, and hard to clean. We were very pleased that the O-Cedar ProMist was able to clean some bits of food that were stuck onto the grout in between the tiles. Take a look at all the dirt that came off our floor. 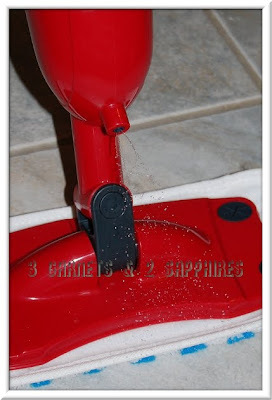 This mop cannot replace an old fashioned scrubbing with a stiff bristled brush, but it is perfect for maintaining floors once or twice a week. You can find the O-Cedar ProMist Cleaning System at most major supermarkets and hardware stores. For a limited time, snag a $5 mail-in-rebate for the ProMist on HomeCleanOver.com . 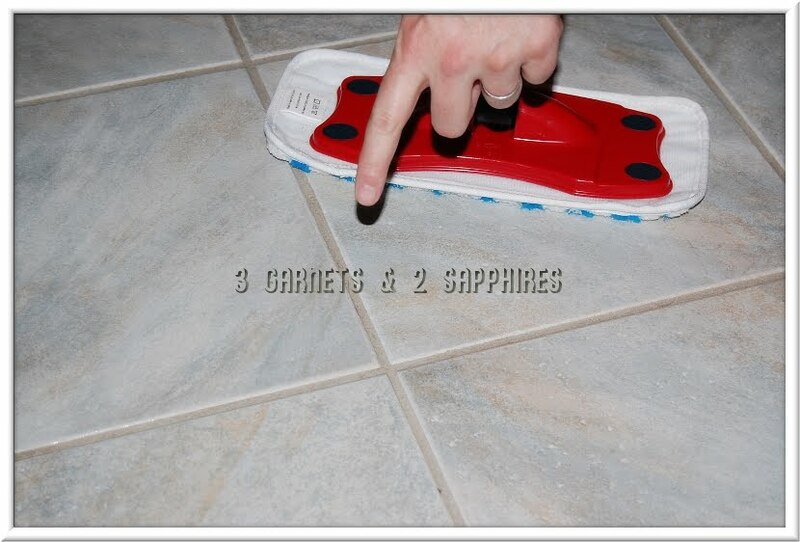 Thank you to O-Cedar for sending us a sample mop free of charge to base this review upon and for providing two additional mops for our contest prizes. Two lucky readers will each receive an O-Cedar ProMist Dry or Wet Cleaning System. 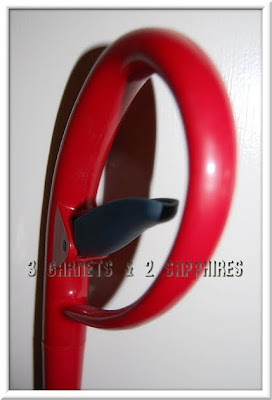 Leave a comment telling me which floor in your home you would want to try this mop on first. You MUST do this to be eligible to win this contest. 3) For 10 extra entries, blog about this contest linking back to this post AND O-Cedar ProMist . Then come back here and leave TEN separate comments with the link to your blog post. 5) For 1 extra entry each, follow OCedarProMist on Twitter and/or "Like" O-Cedar ProMist on Facebook. Then leave a separate comment for each with the link to your Twitter or Facebook profile. This contest will be closed on Monday, October 4th, 2010 at 11:59pm EST. A random number drawing will be held shortly after. The winner will be announced here and will be contact via email or through their blog. If the winner does not respond within 48 hours, a new number will be drawn.